January always feels like a very long month and it’s also the time when local restaurant owners, boutiques and even our favourite boulangeries, decide to take their two week break! There’s been a change of temperature but the cold, blustery weather should not discourage us from going out for a short walk around the village or up in the hills. If can raise the spirits and remind us why we have chosen to live all year round in this wonderful part of France. Our AGM took place in Carcassonne on Friday 23rd January. At the meeting, the Tarn was officially incorporated into the CSF Sud area. Our President Hazel Turner and our Treasurer Judith Bourne, who have both been with CSF Sud from the beginning, announced they were standing down this year. Our own Penny Parkinson is now President and Brian Thomas is the new Treasurer, with Maggie Longworth continuing as the Dept Rep for the P-O. Also, Rob Houghton gave a thought provoking and at times amusing talk on Mindfulness, despite having to battle with the sounds of the French Armée de la Terre who called in for lunch by helicopter! At lunch there was a chance for people from across the wide CSF Sud area, from Albi to Perpignan, to meet and chat. There are currently 193 events planned for this day. This is a global event taking place under the tagline “Not beyond us”. Do have a look at their website to find out more about it. Pablo’s Bar is the venue for the first Drop-In of the month. Come and join us, have a coffee and exchange your books. We’ll be at the Café des Artistes with books and DVDs and a warm welcome for anyone who would like to come and chat. Take a break and come to Lizzie’s kitchen for coffee and cakes. You are warmly invited to our Annual Open Meeting for members and supporters of CSF and all others who are interested in finding out more about what we do. The meeting will start at 10.30 with refreshments available from 10 o’clock. This is an ideal opportunity to get together in an informal setting and to hear about what is happening with CSF, both nationally and locally. Also, as we continue to remember the events of the Great War, LFN will be talking about the “Scouser and the Poppy”. The restaurant is offering a 3-course lunch: buffet starter, a choice of two main dishes and the dessert of the day for €16 which includes wine. Do stay and join us and bring your partners, friends and neighbours. If you would like any further information, please don’t hesitate to contact Penny. For those of you who would like to become an Active Volunteer for CSF, we are running an Initial Training Course on these two days in June. Penny and Frank will be welcoming people into their home for the annual CSF Sud get-together. Put the date in your diaries. Please pass this on to anyone you know who may be interested in any of these events and for further information please contact me by e-mail on deastaff@yahoo.co.uk or by phone 04 68 82 90 49. 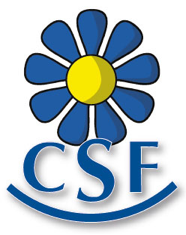 And check out our website at csf-suddefrance.webs.com for all our future events.